Google Plus is a very popular social media, and is especially useful for bloggers and webmasters, who not only have to catch traffic from the social media itself, but also adopt it so easily use and integrate with other Google services, such as Blogger, Google AdSense, Google Webmaster Tools, and so on. Google Plus is great in many respects. But it has one very obvious flaw, something which even newcomers to the network notice as well. Google Plus does not have personalized usernames in profile URLs. For example, for profiles or pages, you can't have a URL like plus.google.com/name, as you can on Facebook and Twitter. What you have instead is plus.google.com/1234567890 etc. 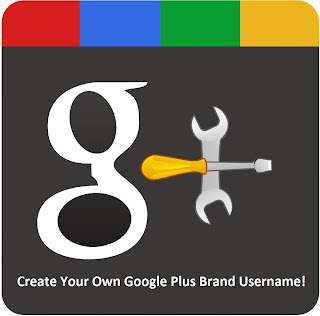 There is a workaround for this, and you can create a brand username for your Google Plus Page or Profile URL! Google Plus Profiles currently contain a long string on numbers, which are not easy to memorize. And so, unlike Facebook or Twitter, if someone asks you for your Google Plus profile link, you can't easily direct them verbally. You first have to open up your Google Plus profile, copy its URL, and then send it to someone via chat or email. This is very time- and effort-consuming. And if you're away and you need to give someone your profile link verbally or via message, the best you can do is tell them to look you up, hope there aren't very many people with the same name as yours, and trust that they'll find you. All this involves much hassle. But you can get rid of it simply by using a great web app called GPlus! GPlus is basically a URL shortening service for Google Plus. With it, you can get a personalized username for your profile in the form gplus.to/username. Note that this is a URL shortening service, which means it won't change your actual username on Google Plus. It will just provide you a redirect link, so when you enter gplus.to/username in your address bar, it won't directly open your profile. Rather, it will redirect you to your Google Plus profile. 1. You need to fetch your Google Plus Profile ID first. Log into your Google Plus account, and click on the down arrow next to your profile image in the top-right region of your screen. Now click on View Profile. Now, you can see the ID in your address bar. (See the image below. The highlighted numbers make up the ID). Select your ID and copy it. 2. Take this ID, and go to GPlus. In the Nickname, type in the username you want to use. Now paste your ID in the ID field, and click on Add. Be sure to type in only your ID numbers, and not any slashes (/) or any other part of your profile URL. Usernames can only be between 3-25 characters. Once you click on Add, GPlus will show you whether all is okay or not. And that's it! Now you can type gplus.to/username into your address bar, and you will arrive at your own Google Plus profile! The process for customizing page URL is the same as for profiles. But there's a slight difference. Google Plus Page URLs are somewhat different than profiles. Notice how page URLs are slightly different than profile URLs. But you just have to go for the string of numbers between the slashes. This is a really great service which has been started recently. And already, millions of profiles and pages have been added to it. Claim your own username now before someone else scoops it up! Awesome post bro.. Whr frm u get those information bro? Thanks for this awesome post Qasim bhai.. I have also set-up my own Google PLus username gplus.to/jxgreat. Nice post and thanks a lot for sharing..
hello sir.. i need ur help. i have applied google adsense and got partial approval and they said to add blank ads in my website. I want to know how many blank ads should i add to my website.. please please reply me. It doesn't working at me. It says "This nickname is used by someone else" and when I try to open this "https://plus.google.com/nickname" it gives me 404 page or page not found. Any idea?